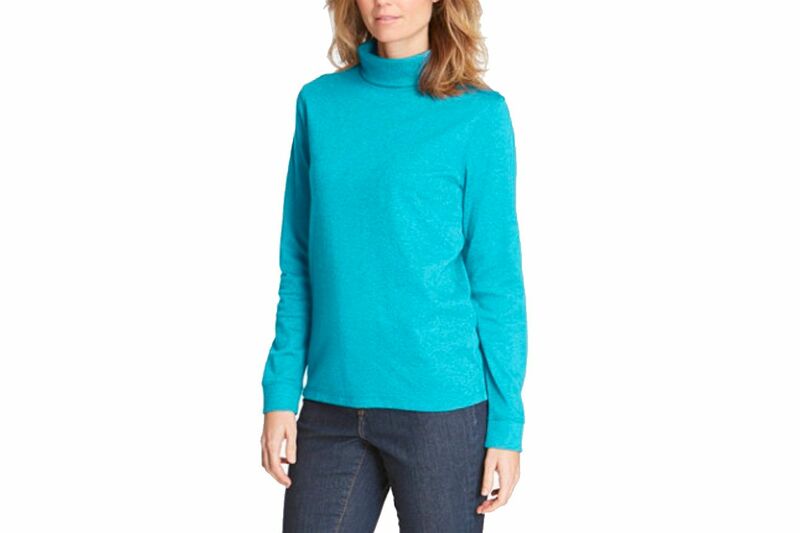 The Ashley Rowe canvas structured turtleneck is a favorite. When I think about what I look forward to most about fall, it’s not changing foliage or decreased humidity. It’s not Halloween or discounted candy at Rite Aid or apple-picking upstate. It’s not even decorative gourds. No, when fall comes around I look forward to only one thing: wearing a turtleneck every day. From the moment the temperature drops below 60 degrees to the day it rises above 60 again, my neck stays safely ensconced in a turtleneck. 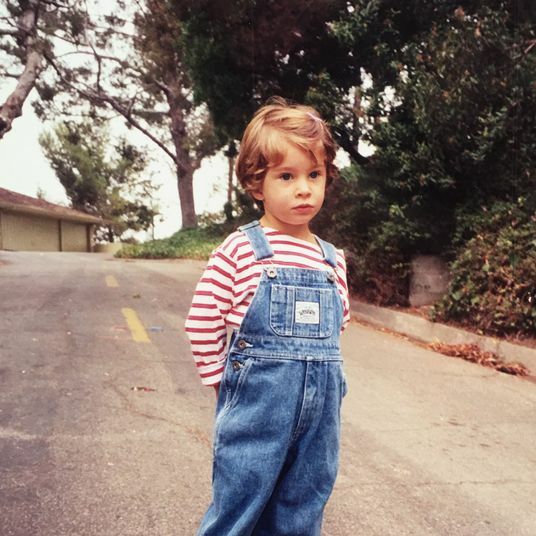 To my mind, a turtleneck epitomizes a perfect union between utility and style. It can convey bookish charm, like on Meg Ryan’s shopkeeper assistant Christina Plutzker in You’ve Got Mail. It can suggest cool severity, like on Liv Ullmann in Persona. 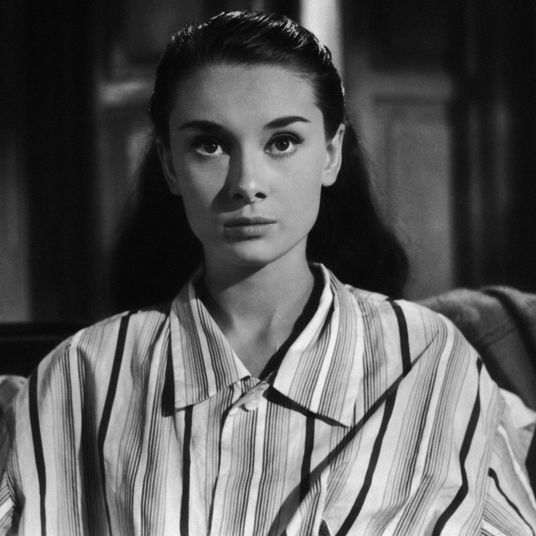 It can express dashing preppiness, like on Renata Adler, whose turtleneck-under-oxford look is as iconic as her long braid. All the while, it keeps your neck warm. 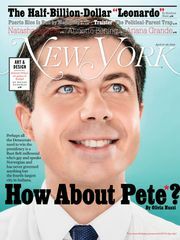 If there’s such a thing as a “face-framing” haircut, I’d say a turtleneck is a face-framing shirt. It’s like a pedestal for your face. 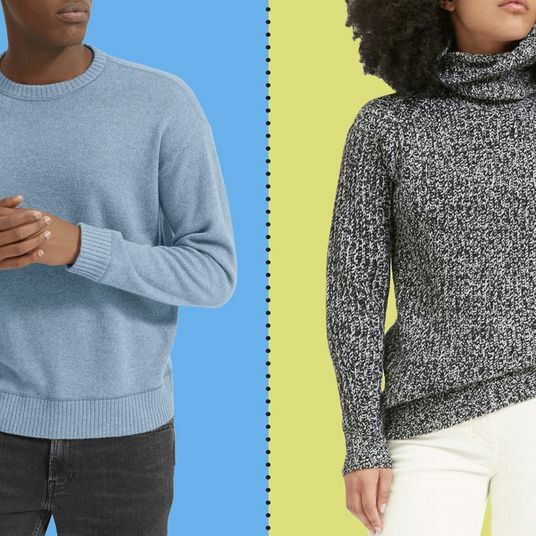 Any turtleneck collection should be broken into three categories: staying-in turtlenecks, leaving-the-house turtlenecks, and going-out turtlenecks. These are my favorites. Staying-in turtlenecks are the white T-shirt of these tops — simplicity is the point. I buy them in neutral colors and layer them under crewneck sweaters (and under turtleneck sweaters, for that matter). 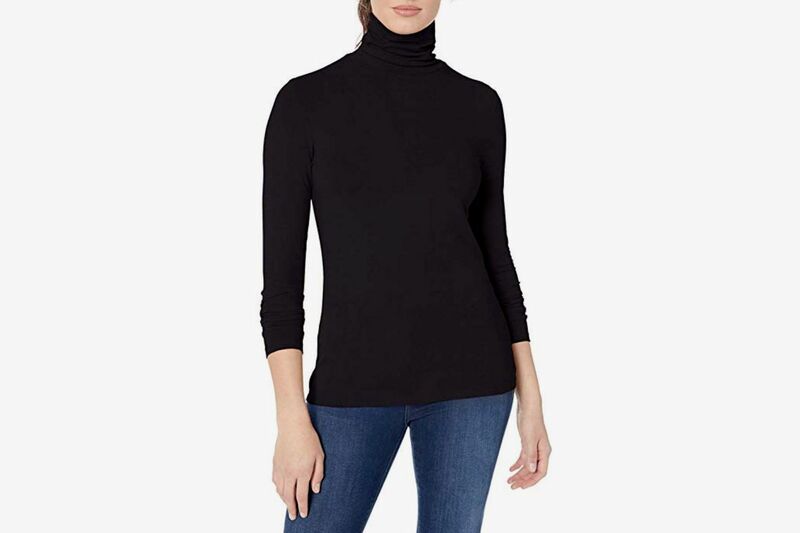 Uniqlo’s Supima cotton turtlenecks have the ideal collar: not too restrictive and without a hint of the dreaded cowl. 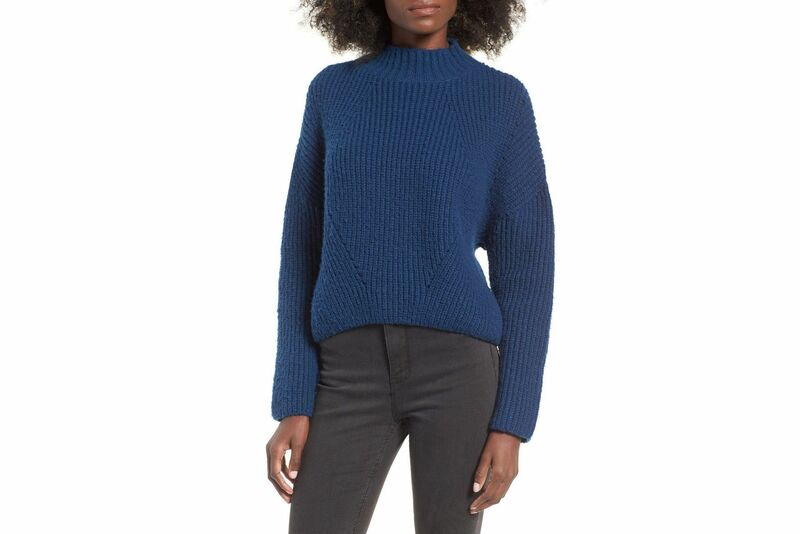 J.Crew’s tissue turtleneck is thin enough to layer without added bulk. This fall, I have my eye on L.L. 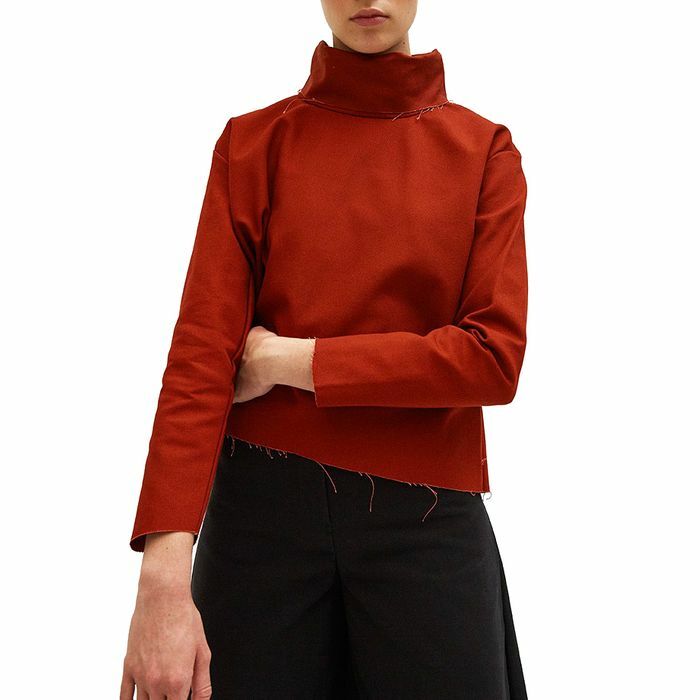 Bean’s Interlock Turtleneck, which is made of heavier, almost sweatshirtlike, cotton and comes in a mock-neck. You can even have them monogrammed, if that’s your thing. 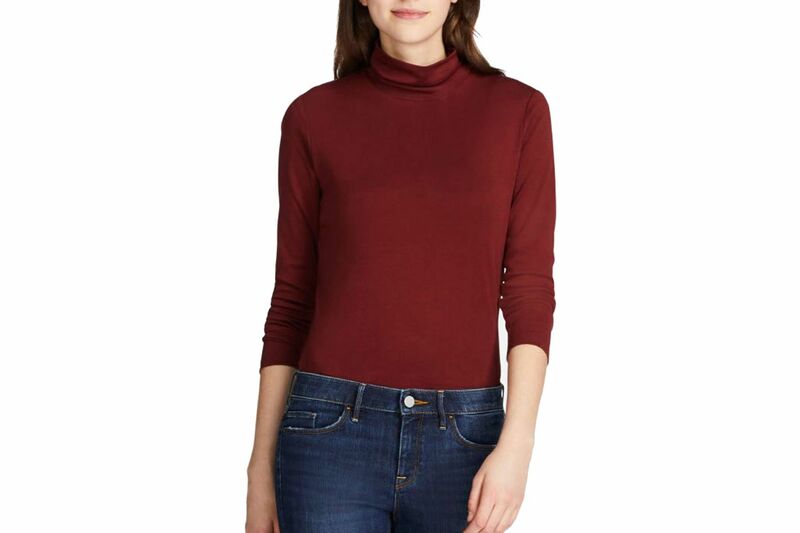 A cozy staying-in turtleneck gives you an excuse to laze around the house, but if you must venture outside, a leaving-the-house turtleneck is ideal. A bright-red turtleneck, like this Giada Forte one, feels like the laid-back relative of an ’80s power suit. Unfortunately this is sold out, but here is another bright red rib knit option. I could imagine wearing Baserange’s Puig turtleneck, with its collar slightly evocative of an Elizabethan ruff, to work. 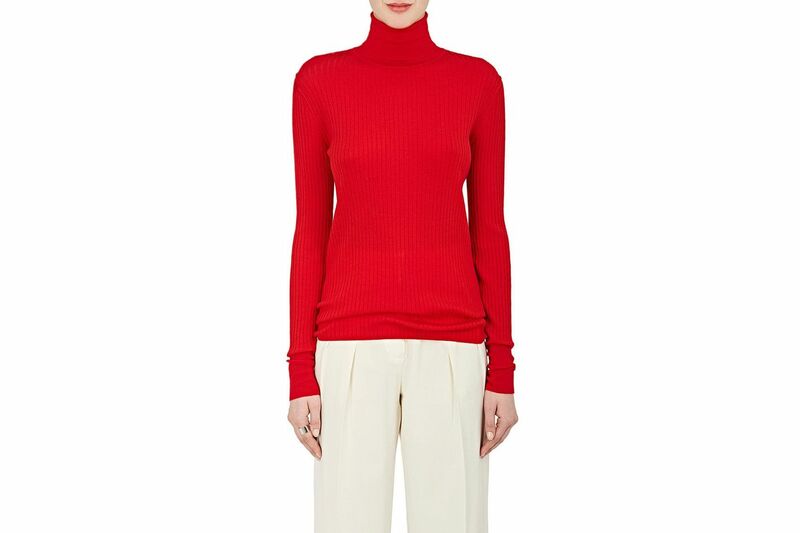 Or Ashley Rowe’s structured canvas turtleneck to work, and then out to dinner. 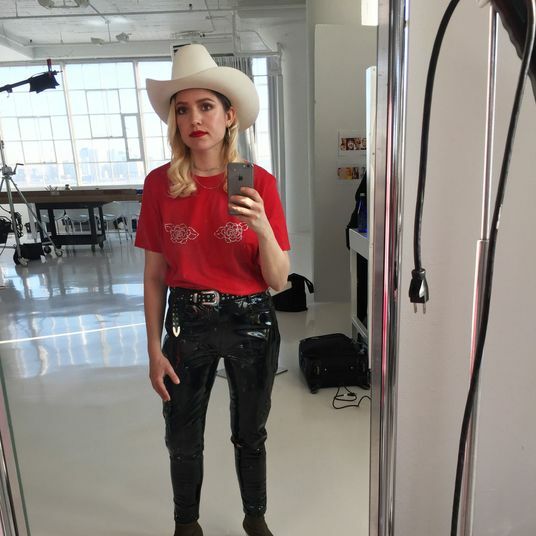 There are only a few left in red, but these turtlenecks come in a range of colors and denim. 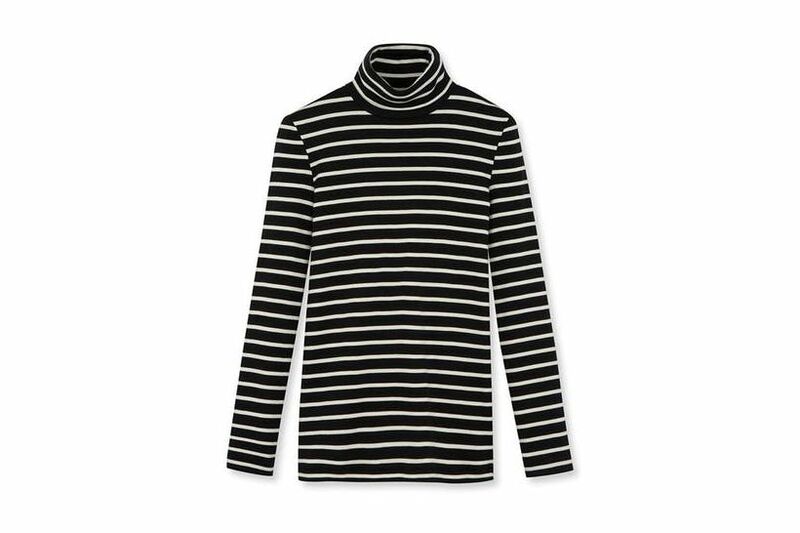 A striped Petit Bateau turtleneck is a good option when you want to channel a French sailor boy, but have tired of a standard boatneck. Unfortunately this is sold out, but here is the plain black version and here is a grey and black striped option. And for something more elegant, try Lauren Manoogian’s dreamy accordion turtleneck in ivory wool and silk, with elongated sleeves that can be folded or bunched up. 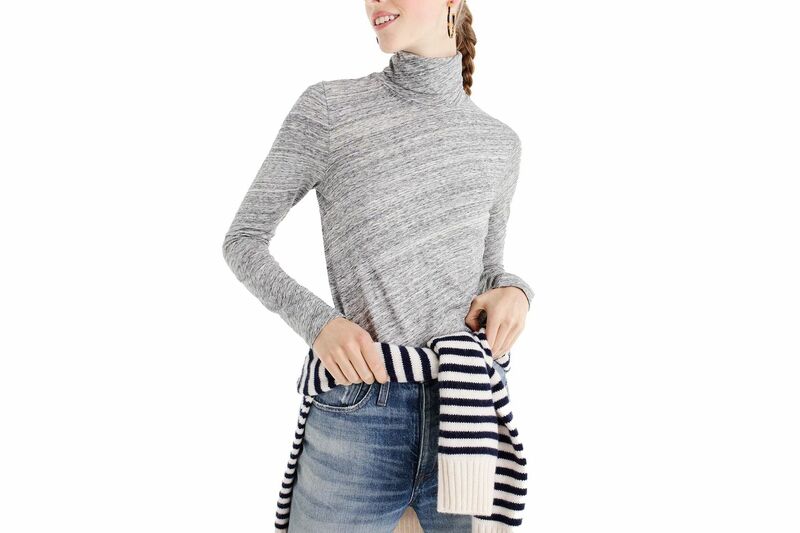 Then there is my favorite category: the going-out turtleneck. 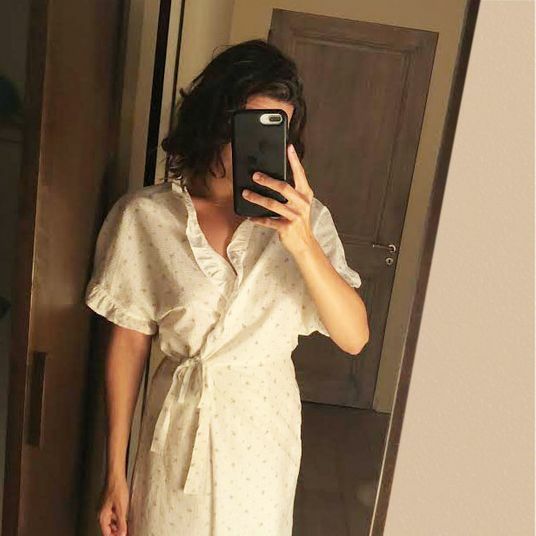 Though it might sound counterintuitive to wear a shirt that conceals the entire upper half of your body when you’re trying to look hot, a going-out turtleneck is surely more glamorous and alluring than another corny off-the-shoulder top. 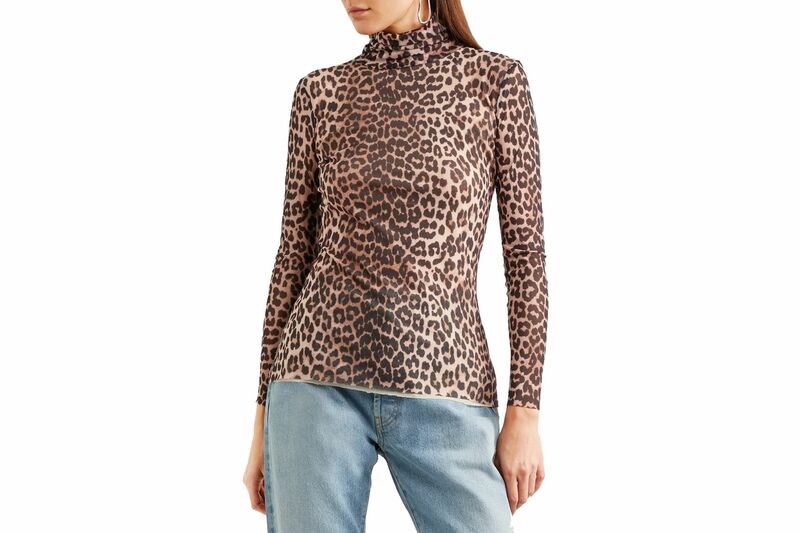 I recommend a going-out turtleneck in leopard print, like this sheer one from Ganni. 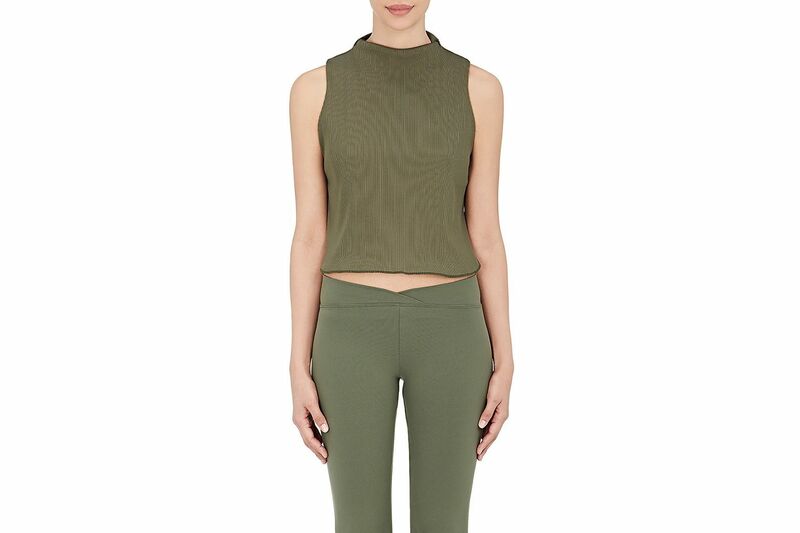 Live the Process’s sleeveless rib-knit is a sleeker option. Unfortunately this is sold out, but here is another Mock-Neck Ruffled Top in that sage green. Another sleek option: Which We Want’s sheer turtleneck that also happens to be a leotard. And finally, there’s what can only be described as the turtleneck fantasy: Gucci’s crystal net top. 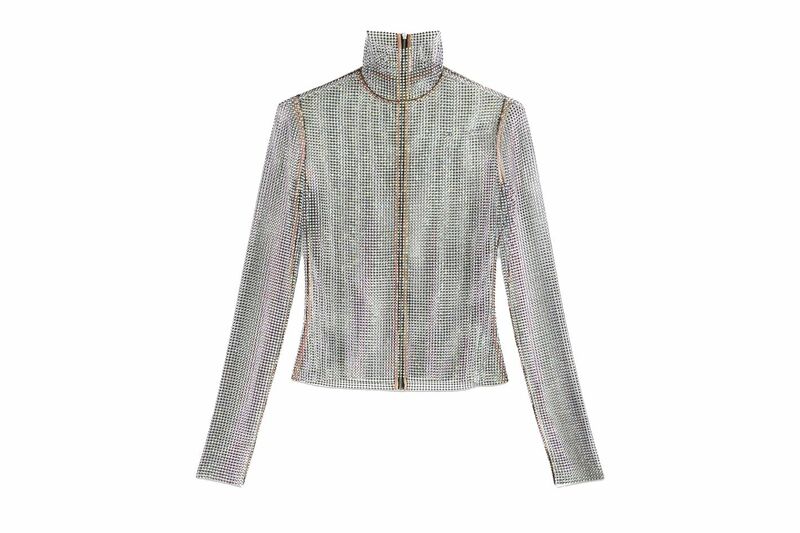 A cross between chain-mail armor and a Swarovski disco ball, this turtleneck is almost too exquisite to wear. If only — with its $3,200 price tag, the Gucci crystal net top will remain but a dream.